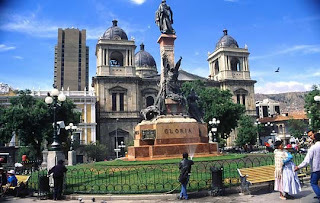 Established on October 20, 1548 under the name La Ciudad de Nuestra Senora de La Paz, which is now known as La Paz, Bolivia's capital is a dynamic mix of ethnic and cultural heritage. The combination of cultural and historical heritage makes La Paz a interesting place to vacation. 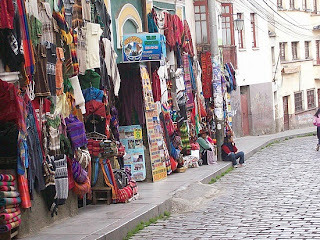 Visiting La Paz is not complete without a visit to Mercado de Mercado de las Hechicceria or Brujas. Merchandise sold here includes herbs, medicines and other materials commonly used in Aymara traditions. Mercado de las Brujas also known as the witches market. On this street, you will see stalls selling items such strange, charm, natural medicine, herbs, crystals, statues of luck, and animal embryos. Around the market wizards, you can also see the traditional market that sells art objects, crafts. This market is located on Calle Sagarnaga, Calle Linares, and Calle Illampu. Plaza Murillo is the city's main square. His real name is the Plaza Mayor, but was later renamed in honor of Pedro Domingo Murillo (1759-1810). Pedro Domingo Murillo was a freedom fighter Bolivia, who met his end here when he was hanged in 1810. In the middle of Plaza Murrilo, you can also see the monument to the hero as high as 3 meters. This large square is often used by local residents to relax. Popular activity here is to feed the pigeons. Built in 1835, this cathedral is an impressive building that deserves to see. 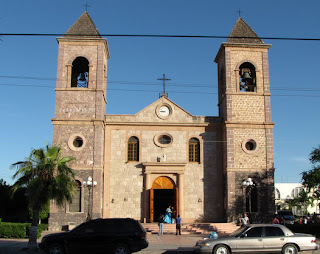 Catedral de Nuestra Senora de la Paz, is a simple stone building with a simple gold altar. The church was built near the site of the first mission of La Paz, which was founded the same year by Jaime Jesuit Bravo. 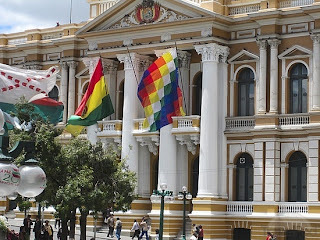 Presidential Palace is located in the south of Plaza Murillo. Known locally as the Palacio Quemado, this is the president's official residence. The building was completed in 1852, but had several times burned during an uprising in 1870. Since then the Presidential Palace was rebuilt and modified several times. Outside the Presidential Palace you can see the red-uniformed guards. Uniform is worn during the Pacific War (1879-1884), when Chile seized Bolivia's coastal areas. Now, this uniform sends a message that Chile has to return the land to Bolivia. Iglesia de San Francisco is the church of mixed mestizo and Spanish baroque style is impressive. Church is located in the plaza of San Francisco is a favorite place for Indian weddings. 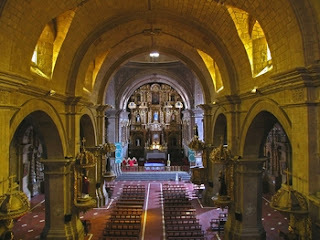 The original construction of this church began in 1548, one year before the founding of La Paz. This church had collapsed due to snow in 1610 and rebuilt in 1784. These churches also incorporate elements of the original art and Catholic and has a Baroque Facade of San Francisco is rich in traditional symbols such as the character mask, snakes, dragons and tropical birds. When you want to visit this church, you can come in Monday-Saturday starting at 4:00 p.m. to 6:00 p.m. local time and was not charged. 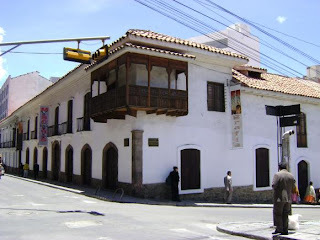 Museo de EtnografÃa y Folklore is a small museum featuring exhibits of diverse ethnic cultures Bolivia. In the room on the ground floor, you'll find an impressive display of masks Andes. Or you can go upstairs to see an exhibition dedicated to the cultural village of Uru Chipaya with typical models and explanations about their hunting techniques. In addition, the museum also has audio-visual library where you can watch a short video about traditional dances Bolivia, ethnic groups, history and customs. Valle de la Luna, or the valley of the moon is located about 10 kilometers from downtown La Paz, Pedro Domingo Murillo province. This valley is an area where erosion has eroded the mountains. For centuries the natural elements have created a work of art is a bit odd. Here, you look as if the desert is filled with stalagmites. 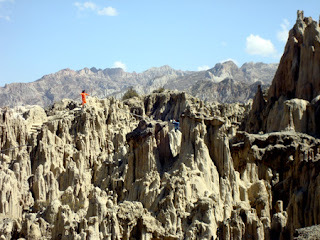 This is similar to another zone of La Paz, known as el Valle de las Animas (the souls of the Valley). 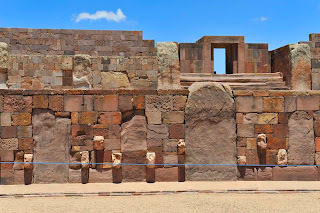 Located near Lake Titicaca in the province about 72 kilometers west Ingavi La Paz, Tiwanaku archaeological site is a historic relic Incas. This archaeological site has not been fully explored, but walking among the ruins of this would be a fun and rewarding experience. You can visit this site any day, provided starting at 9:00 to 16:30 local time. 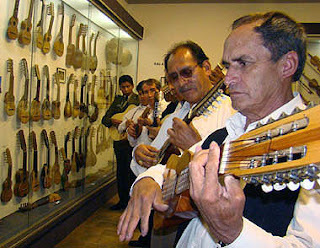 Located on Calle Linares, this museum displays exhibits a variety of musical instruments. If you happen to be a musician then this museum is a great place to visit.